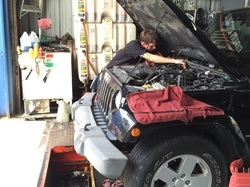 Keeping your vehicle running in tip top condition should be priority! Regular maintenance is essential to keeping your vehicle running smoothly to avoid costly problems later down the road. Imports, RVs, Diesel Trucks and Buses; we service them all!